Our next five articles will comprise an in-depth look at the five main components of our PPLI Concept Map: Professor PPLI meets Leonardo da Vinci. These two neighbors are discussing a new tax law in their fenced backyard. 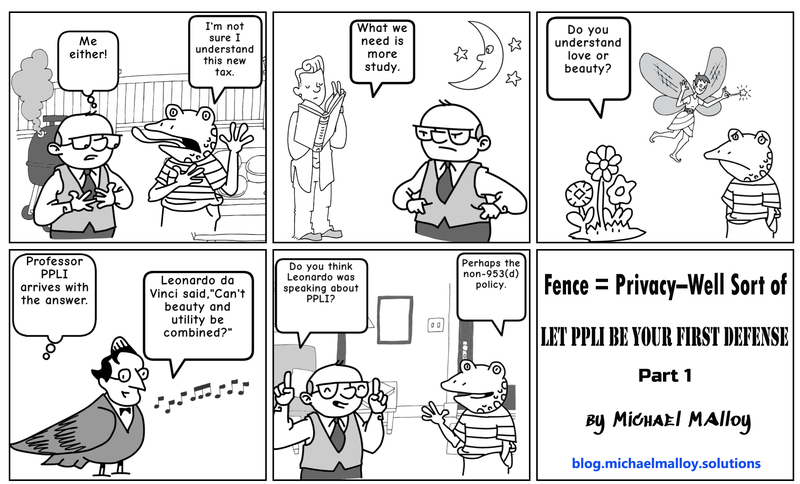 Private Placement Life Insurance (PPLI) is a well-established, yet conservation ring fence for your assets. Once assets are structured properly in a PPLI policy, the insurance company becomes the beneficial owner of the assets. The advantage of an insurance ring fence is that life insurance is a common structuring tool and is used by millions around the world to provide financial security. Now back to our two neighbors. In our scene the barbecue is pouring out smoke, and smoke can mean trouble. Indeed, it is black smoke which reminds us of a passage at the beginning of Charles Dickens’s Bleak House. We will visit Charles Dickens’s London later on, where Dickens uses fog as a metaphor for the decrepitude of polluted London in the mid-19th century. Indeed, Dickens’s London was a mixture of both fog and smoke during much of the year. In the context of our story, smoke, whether foul or benign, can easily escape a fenced backyard. Smoke is subject to wind currents, and other atmospheric elements. PPLI structures use a “smoke free” strategy. One that is not subject to the vagaries of the weather. A properly structured PPLI policy is a ring fence that gives wealthy clients’ assets an airtight chamber. Inside this chamber the six principles Expanded Worldwide Planning (EWP) breathe clean air with no pollutants. The six principles of EWP are: Privacy, Asset Protection, Succession Planning, Tax Shield, Compliance Simplifier, Trust Substitute. Imagine the scene in our panel taking place anywhere in the world. A government passes a new tax law and its citizens must compile with it, or face certain penalties. Tax laws change frequently and how you must compile–how much tax you must pay under the new law–does not always translate into a simple answer or number on your tax return. This is why we thoroughly research our PPLI structures, and make sure they compile with all the tax authorities involved in the locations of a client’s assets. 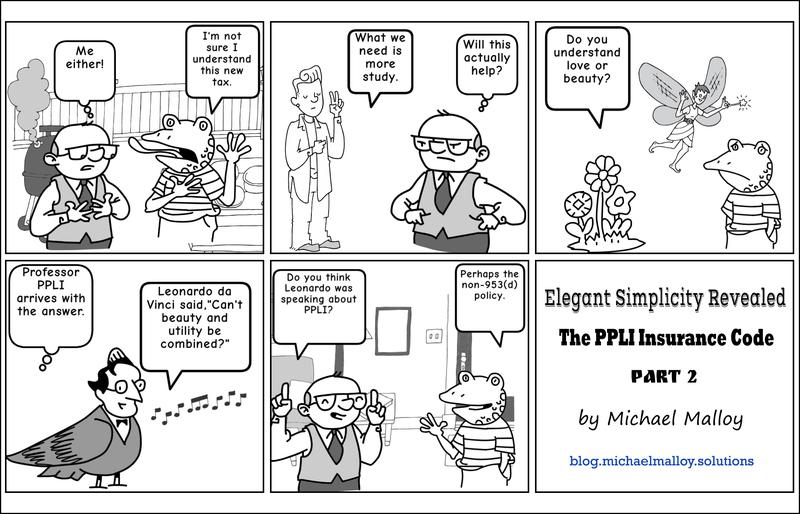 Let us back up briefly and visit an excellent basic description of PPLI. PPLI is essentially a flexible premium variable universal life (VUL) insurance transaction that occurs within a private placement offering. The private placement component adds extensive flexibility to the VUL product pricing and asset management offerings. Because PPLI is sold through a private placement memorandum, every situation can be individually negotiated and custom designed for the client. PPLI can be for single life or survivorship and is offered only to an accredited investor. PPLI has both a death benefit and a cash value (that is, investment account) and is generally designed to maximize cash value and minimize death benefits. 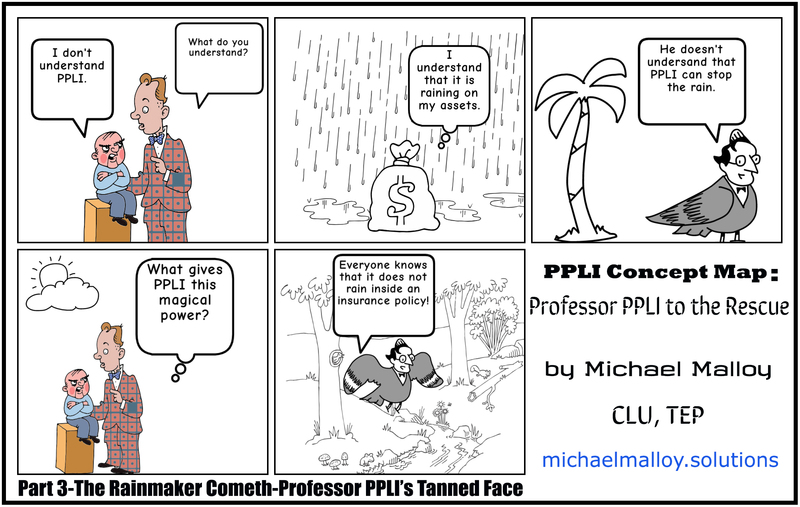 Consequently, PPLI is usually designed as a non-modified endowment contract (non-MEC) policy, with four to five premiums versus a single premium policy (that is, a MEC). In this way, cash values can be accessed tax-free during an insured’s lifetime. From Cole Porter we give you a different aspect of a fence: one that constricts and prevents the innovative structuring techniques that are possible with PPLI. The mystique of the American cowboy roaming the vast open spaces of the western U.S. comes alive in this popular song from the 1930s, Don’t Fence Me In,” courtesy of Warner/Chappell Music, Inc..
We now travel back to London for a discussion of privacy and data protection. This subject is key to the debate about tax that is taking place on the world’s stage. What our two neighbors are discussing in their backyard is an important topic for governments and those that advise wealthy clients. Caroline Garnham is a London attorney, who heads the firm of Garnham Family Office Services, and is one of our favorite writers on this subject. First, we give you Dickens’s memorable depiction of foggy London. “Was Tony Blair right second time? Is privacy and data protection a good thing or not? Should there be a public register of what you own? Would you like your neighbours, friends, children and employees knowing precisely what you own; properties, businesses, pensions and bank accounts? Why not – if you have nothing to hide? Tony Blair, is on record as saying that one of his greatest regrets had been his own Freedom of Information Act. Why because in his view ‘information is neither sought because the journalist is curious to know, nor given to bestow knowledge on ’the people’. ‘It is used as a weapon’. To protect his privacy once he left office and started to make money, he erected barriers to prevent an accurate assessment of his wealth His income was channelled through a complicated legal structure. At the top was BDBCO No.819 Limited a company called either Windrush or Firerush. Windrush Ventures No.3 LP was part owned by Windrush Ventures No.2 LP which in turn controlled Windrush Ventures Ltd. The scheme’s advantage was that the LPs, or limited partnerships, were not obliged to publish accounts. Even without public registers and the protection of limited partnerships, Tom Bower, author of ‘Broken Vows’ managed to track down these details – so why do we need a public register? 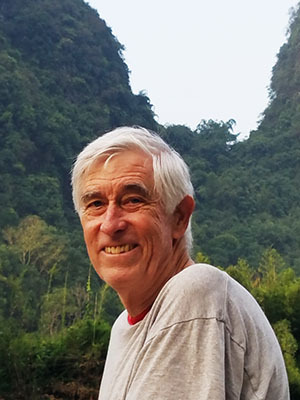 Furthermore, the drive for a public register is for ownership of companies and properties, but not of the beneficiaries of a trust – so for anyone wishing to disguise their ownerships they simply need to set up a trust – or take their assets outside the Overseas Territories and Crown Dependencies – in which case Britain plc is shooting itself in the foot. We will get nothing and business will flee from the territories we should be protecting. This week a Government Bill designed to protect the City in the event of a no-deal Brexit was pulled in the face of almost certain defeat after MPs added an amendment that would have forced greater transparency on the Isle of Man, Guernsey and Jersey – the Crown Dependencies. The idea of public registers of companies, was originally proposed by David Cameron and George Osborne in 2013 in the fight against the use of offshore financial centres to launder money using a myriad of offshore companies. It was dropped when May became Prime Minister, but resurrected by a bank benchers Hodge and Mitchell. The UK has however intervened in the affairs of the Overseas Territories, such as in the repeal of the Death Penalty in 1991 and decriminalising homosexuality in 2,000, but has made no such intervention in the Crown Dependencies, which is why the bill had to be pulled to give time for a more detailed debate. Hodge takes the view that a public register of ownership to stamp out the ‘traffic of corrupt money and illicit finance’ across the world’ justified such intervention! The Paradise Papers according to the campaign group Global Witness estimates that £68bn flowed out of Russia via the British-overseas territories between 2007 and 2016, – but what of other countries? To date only three prosecutions have been made. Is this a good enough justification for undermining the privacy of many others? That did not prevent Tom Bower finding out all he needed to know about Tony Blair! Find out today how an asset structuring technique–PPLI–can be both conservative and sophisticated. PPLI can give you both privacy and full compliance with the world’s tax authorities. We welcome your call or email. 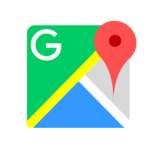 Contact Us right now! 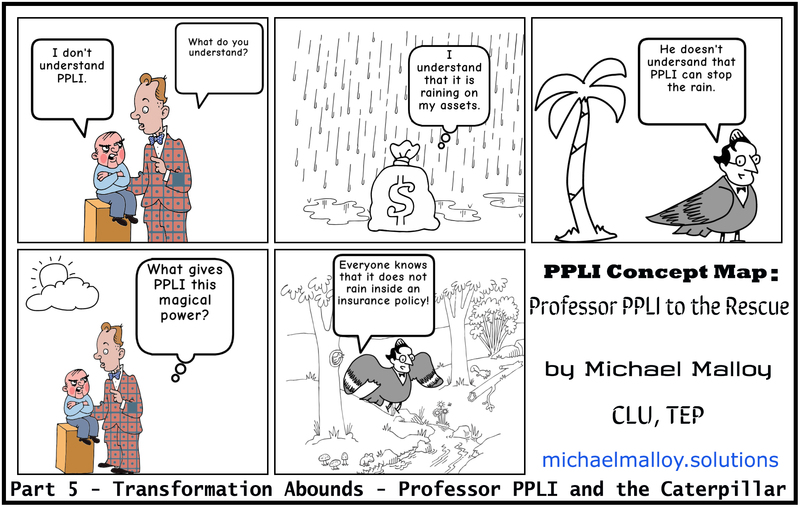 Our next series of articles will comprise an in-depth look at the five main components of our PPLI Concept Map: Professor PPLI to the Rescue. In our earlier articles we entertained several views on the word rain, and explored various ways that the English language used the word rain in colorful ways to describe its effect on a client’s assets. Professor PPLI has a rye sense of humor! You will receive more in this vein further in our article from Lewis Carroll’s Alice in Wonderland. Professor PPLI meets his match in the person of the Caterpillar. We also cast life insurance, in particular Private Placement Life Insurance (PPLI), in the role of a protective outer garment that can protect client’s assets against the assault of the rain. transformation of a caterpillar into a butterfly. The cocoon, like PPLI, does indeed provide protection, and the amazing transformation that occurs inside the cocoon is analogous to the transformation of client’s assets once they enter the PPLI policy. “As children, many of us learn about the wondrous process by which a caterpillar morphs into a butterfly. The story usually begins with a very hungry caterpillar hatching from an egg. The caterpillar, or what is more scientifically termed a larva, stuffs itself with leaves, growing plumper and longer through a series of molts in which it sheds its skin. One day, the caterpillar stops eating, hangs upside down from a twig or leaf and spins itself a silky cocoon or molts into a shiny chrysalis. Within its protective casing, the caterpillar radically transforms its body, eventually emerging as a butterfly or moth. But what does that radical transformation entail? How does a caterpillar rearrange itself into a butterfly? What happens inside a chrysalis or cocoon? 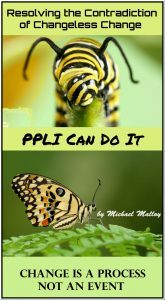 Like the transformation of the caterpillar into a butterfly, the of re-characterizing of assets inside a PPLI becomes an equally magical experience. Once assets are placed inside the PPLI policy, these assets take on the six principles of Expanded Worldwide Planning (EWP): privacy, asset protection, succession planning, tax shield, compliance simplifier, and trust substitute. We are not finished with the Caterpillar, and now reveal him in a new guise. Because Professor PPLI has such a rye sense of humor, we now switch to a master of quizzical, British humor, Lewis Carroll, in Alice in Wonderland. The very idea of raining inside an insurance policy is puzzling, and brings to mind an equally puzzling exchange between Alice and the Caterpillar. “’Who are you?‘ said the Caterpillar. Alice’s state of mind reminds me of tax advisor who doesn’t understand PPLI. These advisors can’t conceive of an insurance policy accomplishing more than a trust. But in a sense, this can be seen with a little reflection–these advisors are mostly in the business of creating trust, or giving tax advice, and think that insurance is beneath their dignity. Much like Alice regards the Caterpillar. Ironically, most PPLI policies are owned by trusts. PPLI greatly expands the trust’s possibilities by coupling amicably with a properly structured PPLI policy. I think most people would agree that in an ideal society, taxation would promote the common good. But putting this into practice is extremely difficult. Who to tax and how much to tax is much debated throughout the world, and countries approach this dilemma in many different ways, depending on the type of government and their societal goals. Strong central governments are able to implement their programs with greater ease than in societies that are more pluralistic and democratic, but this is still no guarantee that the programs implemented will be successful, and promote the common good. Promoting the common good reminds me of the quest to rid the world of the One Ring in J. R. R. Tolkien’s Lord of the Rings. Written during the time of World War II, Tolkien’s epic novel offers us an example of a quest to rid the world of a device, the One Ring, that had the ability to unleash destruction and enslave the peoples of Middle Earth. In the end, service and steadfast devotion won out over greed and power. At Advanced Financial Solutions, Inc. our quest is to give you maximum tax efficiency and privacy while maintaining your compliance with the world’s tax authorities. Our PPLI structuring uses a simple, straightforward, and traditional tool–life insurance. Our service and steadfast devotion to your needs produces exceptional results. Please let us know your situation so we can create a plan that works for your own unique set of circumstances. The magic comes once assets are inside the PPLI policy. This magic is partly due to what occurs outside the PPLI policy. We likened this in Part 2 and Part 3 to the “wind and rain.” Let us define this “wind and rain” in terms of tax policy, and compare it to the benefits of using a properly structured PPLI policy. The first study is “The Impact of Soda Taxes: Pass-through, Tax Avoidance, and Nutritional Effects” by Stephan Seiler, Stanford University: Anna Tuchman, Northwestern University, and Song Yao, University of Minnesota. Draft: February 21, 2019. The interesting conclusion of this study is that the so called Soda Tax is harmful to the very group of people that it was originally designed to help! “We use detailed supermarket scanner data from a large set of stores in Philadelphia to evaluate the impact of a sweetened beverage tax on nutritional intake and consumer welfare. Our findings suggest that the tax was almost fully passed through at most stores. While there is some decrease in the aggregate consumption of taxed beverages, the magnitude of the decrease is reduced considerably because consumers avoid the tax by cross-shopping. As a consequence, the reform does not lead to an improvement in terms of the consumption of healthier beverages, it has little impact on nutritional intake, and it is limited in its ability to raise revenue. Finally, it imposes a relatively larger financial burden on low income / high obesity households that are less likely to engage in cross-shopping at stores outside of the city. These results relate to a broader discussion about the optimal design of policies that are intended to encourage changes in consumer behavior. First, our results suggest that consumers have strong preferences for taxed beverages relative to healthier alternatives, and these preferences are not easily altered. Our data spans almost two years after the tax, and we don’t find evidence that cross-shopping decreases over time, so it is therefore unlikely to be a short-term effect. Second, our analysis shows that in order to be e↵ective, taxes must be imposed in a way that makes them hard to evade. Highly localized taxes make it relatively easy for consumers to seek alternatives. This kind of tax evasion behavior has been documented for other kinds of local taxes as well, including cigarette and liquor taxes (Barker et al. (2016); Beard et al. (1997)). Finally, while we would expect low income households to generally be more price sensitive, our results also show that low income consumers are less likely to avoid the tax through cross-shopping. The latter effect is so strong that it leads to a lower reduction in quantity (for the same price increase) in low income areas in Philadelphia. Generally, taxes on grocery items tend to be regressive due to the fact that such goods constitute a larger share of expenditure for low income households (Bureau of Labor Statistics (2015); Wilson et al. (2016)). Our second example of “wind and rain,” or what happens outside the magic of a PPLI policy, is “Taxation and Innovation in the 20th Century” by Ufuk Akcigit, John Grigsby, Tom Nicholas, and Stefanie Stantcheva, January 22, 2019. “There is an negative effect to taxing successful individuals and corporations in terms of stifling innovation. We quote from the Abstract of this study, “This paper studies the effect of corporate and personal taxes on innovation in the United States over the twentieth century. We use three new datasets: a panel of the universe of inventors who patent since 1920; a dataset of the employment, location and patents of firms active in R&D since 1921; and a historical state-level corporate tax database since 1900, which we link to an existing database on state-level personal income taxes. Our analysis focuses on the impact of taxes on individual inventors and firms (the micro level) and on states over time (the macro level). We propose several identification strategies, all of which yield consistent results: i) OLS with fixed effects, including inventor and state-times-year fixed effects, which make use of differences between tax brackets within a state-year cell and which absorb heterogeneity and contemporaneous changes in economic conditions; ii) an instrumental variable approach, which predicts changes in an individual or firm’s total tax rate with changes in the federal tax rate only; iii) event studies, synthetic cohort case studies, and a border county strategy, which exploits tax variation across neighboring counties in different states. This is key to PPLI structuring, and the continued reason why it is underutilized. How can a life insurance policy accomplish so much for the assets of wealth persons? Because it is life insurance, but functions more like a Super Trust. Here is a comparison. The overarching principle of PPLI structuring is EWP which is comprised of the six principles below. EWP gives privacy and compliance with tax laws. It also enhances protection from data breach and strengthens family security. EWP allows for a tax compliant system that still respects basic rights of privacy. EWP addresses the concerns of law firms and international planners about some aspects of CRS related to their clients’ privacy. EWP assists with the privacy and welfare of families by protecting their financial records and keeping them in compliance with tax regulations. EWP protects assets with segregated account legislation by using the benefits of life insurance. This structure uses asset protection laws in the jurisdictions of residence to shield these assets from creditors’ claims. A trust with its own asset protection provisions can still receive additional protection with the policy. EWP includes transfers of assets without forced heirship rules directly to beneficiaries using a controlled and orderly plan. This element of EWP provides a wealth holder a method to enact an estate plan according to his/her wishes without complying forced heirship rules in the home country. This plan must be coordinated with all the aspects of a properly structured PPLI policy together with other elements of a wealth owner’s financial and legal planning. EWP adds tax deferral, income, estate tax benefits and dynasty tax planning opportunities. Assets held in a life insurance contract are considered tax-deferred in most jurisdictions throughout the world. Likewise, PPLI policies that are properly constructed shield the assets from all taxes. In most cases, upon the death of the insured, benefits are paid as a tax free death benefit. EWP adds ease of reporting to tax authorities and administration of assets, commercial substance to structures. In addition, the insurance company is considered the beneficial owner of the assets. This approach greatly simplifies reporting obligations to tax authorizes because assets in the policy are held in segregated accounts and can be spread over multiple jurisdictions worldwide. EWP creates viable structure under specific insurance regulations for civil law jurisdictions. It also creates a new role for commercial trust companies. In most civil law jurisdictions, trusts are poorly acknowledged and trust law is not well developed. As a result, companies with foreign trusts in these civil law jurisdictions, face obstacles. If you are just using trusts, foundations, and various corporate entities in your planning, you are out in the “wind and rain.” Is it not time that you embraced this simple yet fully tax compliant tool? Let us know how we can take you inside the comfort zone of being fully tax compliant and the proud possessor of the six principles of EWP. Please call us today! Professor PPLI has arrived to educate our advisor on what PPLI can accomplish for this frustrated client. We continue our analogy of rain, and cast Professor PPLI in the role of the rainmaker, which the Cambridge English Dictionary defines as “someone who makes a lot of money for a company or who helps someone or something to succeed.” This is an apt description of Professor PPLI. As you will find out, Professor PPLI has a studious approach to the tax savings and tax compliance benefits of PPLI, (Private Placement Life Insurance). It is not raining in the third panel of the Concept Map which includes a palm tree. In this article, we will explore how the rain exits and how “PPLI can stop the rain.” Frequently wind can accompany rain, but it also can blow it away. Before we detail how “PPLI can stop the rain.” Please enjoy a memorable passage from Charles Dickens on the wind from his novel Martin Chuzzlewit. Think of this wind as the same wind that blew the rain away. This rain that so disturbed the client’s assets in frame two of our Concept Map. “An evening wind uprose too, and the slighter branches cracked and rattled as they moved, in skeleton dances, to its moaning music. The withering leaves no longer quiet, hurried to and fro in search of shelter from its chill pursuit; the labourer unyoked his horses, and with head bent down, trudged briskly home beside them; and from the cottage windows lights began to glance and wink upon the darkening fields. Then the village forge came out in all its bright importance. The lusty bellows roared Ha ha! to the clear fire, which roared in turn, and bade the shining sparks dance gayly to the merry clinking of the hammers on the anvil. Out upon the angry wind! how from sighing, it began to bluster round the merry forge, banging at the wicket, and grumbling in the chimney, as if it bullied the jolly bellows for doing anything to order. And what an impotent swaggerer it was too, for all its noise; for if it had any influence on that hoarse companion, it was but to make him roar his cheerful song the louder, and by consequence to make the fire burn the brighter, and the sparks to dance more gayly yet; at length, they whizzed so madly round and round, that it was too much for such a surly wind to bear; so off it flew with a howl giving the old sign before the ale-house door such a cuff as it went, that the Blue Dragon was more rampant than usual ever afterwards, and indeed, before Christmas, reared clean out of its crazy frame. It was small tyranny for a respectable wind to go wreaking its vengeance on such poor creatures as the fallen leaves, but this wind happening to come up with a great heap of them just after venting its humour on the insulted Dragon, did so disperse and scatter them that they fled away, pell-mell, some here, some there, rolling over each other, whirling round and round upon their thin edges, taking frantic flights into the air, and playing all manner of extraordinary gambols in the extremity of their distress. Nor was this enough for its malicious fury; for not content with driving them abroad, it charged small parties of them and hunted them into the wheel wright’s saw-pit, and below the planks and timbers in the yard, and, scattering the sawdust in the air, it looked for them underneath, and when it did meet with any, whew! how it drove them on and followed at their heels! Now contrast this chaotic and disruptive wind to the placid palm tree next to Professor PPLI in panel three of our Concept Map. Here is a description of palm trees from Wikipedia. In January and February when walking the sometimes icy New York City streets, you are apt to encounter the sun tanned face or two on the crowded sidewalks. It is difficult not to have a pang of jealousy. You know that this lucky person has just returned from a pleasant Caribbean island where palm trees abound, and the bitter cold winter wind is not felt. At this time in the Caribbean, the temperatures are usually ideal–not too hot or too cold. 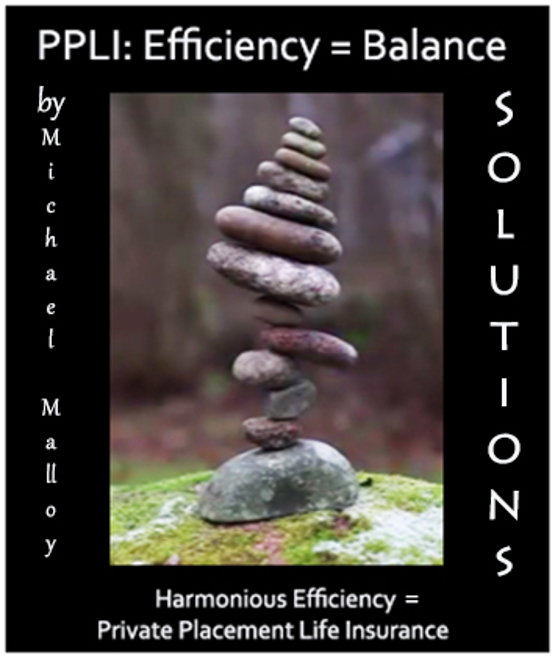 This balance reminds us of the six principles of Expanded Worldwide Planning (EWP), and how these six principles together with PPLI achieve such outstanding asset structuring results. Mobile lifestyles are fast becoming the norm: a third of wealthy clients hold a second passport or nationality, 22 percent plan to buy another home in a foreign country in the next year and 41 per cent send their children overseas for education.2 However, every connection with a new country brings a risk that existing wealth structures will be rendered ineffective. A mainstay of planning in one jurisdiction, such as an excluded property trust for a UK resident non-domiciliary, may not survive elsewhere: on a move by the settlor or beneficiary to France, the trust attracts reporting obligations and, potentially, tax. Spain and other countries that have not ratified the Hague Convention of 1 July 1985 on the Law Applicable to Trusts and on their Recognition may disregard it entirely. And the issue is by no means exclusively European: acquisition of US taxpayer status by a non-US resident can require a client to contend with two tax regimes simultaneously, and investment options may be constrained – e.g. by punitive tax and reporting associated with passive foreign investment companies (PFICs). While there is likely no panacea, investment-linked life insurance can go a long way towards alleviating these concerns. Importantly, life insurance is not a uniquely civil- or common-law creation. As such, its treatment in law and tax is reasonably uniform, and a well-structured insurance policy will be immune to a move between civil- and common-law jurisdictions. Whether unchanged or with subtle amendments, it can continue to defer tax on linked investments across borders and even in the hands of dual or multi-tax residents. Further, policy assets are owned by the insurer, rather than the policyholder – a distinction that grants the policyholder exposure to investments, such as PFICs, that might otherwise be taxed unfavourably. Similarly, policy investment gains may be protected on emigration, given that, in some countries (e.g. Spain and France), life insurance is not subject to exit tax. In the meantime, the policyholder retains access to their preferred investment managers, appointed by the insurer. Over time, life can be complicated not only by travel, but also through the gradual dispersal of family, wealth and other interests – not to mention death, separation and remarriage, and the extended families that can follow. When the time comes for assets to pass to the next generation, these intricacies can frustrate intentions. At death, a matrimonial property regime may apply and should be dealt with first. If time has been spent in various locations, assets are widely distributed or the residence and domicile of a client no longer match, there is scope for more than one succession regime to apply. Some jurisdictions recognise the concept of a deceased’s estate, while elsewhere succession is direct. Others apply forced-heirship rules, and then there is the prospect of double taxation. While the landscape has seen some simplification, e.g. with the EU Succession Regulation (the Regulation)3 and enhanced European cooperation in matrimonial property matters,4 it can be hard to ensure assets reach the right hands. One of the attractive features of life insurance is the possibility to designate beneficiaries to whom some or all policy proceeds are paid directly when the contract ends. Amounts transferred in this way are generally excluded from the estate of the deceased and are therefore not subject to probate. In some cases, such as in Sweden, a beneficiary can automatically become the new policyholder when the holder dies. At European level, life insurance is a notable exclusion from the scope of the Regulation.5 This is not to say that a life policy in force at the holder’s death cannot be subject to the Regulation, but it provides comfort that payments to beneficiaries will be made immediately, rather than being gathered in and distributed with the broader estate. In this context, it is also significant that, regardless of the number and location of a policy’s linked investments, the policy remains a single asset with a single situs. There can be little comfort, however, in assets reaching their destination if their value by that time has dissipated. Life insurance is not only subject to a specific legal framework, but also usually sits under a specific head of taxation. As a result, proceeds, on withdrawals or termination, can be taxed more lightly than direct investments and direct inheritance. In France, for example, death proceeds of a policy funded prior to the assured’s 70th birthday are taxed at beneficiary tax rates of 20–31.25 per cent, rather than at succession tax rates of up to 60 per cent. Even where reduced tax rates are unavailable, a life policy might be paired with high death cover from the same provider to meet, rather than mitigate, the liability. If there is concern that when assets change hands they will be consumed by family disputes or further taxation, bespoke policy terms can reduce this risk: a couple in Spain has the option to take out joint life policies, each spouse naming the other as beneficiary should they be the sole survivor. After an initial term, the sole survivor receives a contractual right to end the policy and take the proceeds. However, the spouses can agree at the outset that receipt of this right will be delayed by a term of years or be invalidated by family disputes or remarriage during this time. Succession tax is not due until the right is received. Crossed policies such as these can smooth the transition of wealth and offer time to plan before a tax bill can arise. Two of the primary reasons wealthy individuals are concerned about intergenerational wealth transfer are that children will not know how to handle the investments and that they will be irresponsible with the money.6 Having earmarked wealth for the next generation, retaining control over how it is applied can be difficult, particularly overseas. A life policy could solve the conundrum. In the UK, for example, where beneficiary designations are uncommon, a gift of a foreign life policy to an individual is not chargeable to income or capital gains tax and, for a domiciled (or deemed-domiciled) client, is potentially exempt for inheritance tax purposes. If there is concern that a child or grandchild may be insufficiently mature to handle the value transferred or share the family’s wealth management objectives, policy terms can be tailored before the gift so that, for a period of time chosen by the donor, the policy cannot be brought to an end and withdrawals are prohibited or capped. Elsewhere, beneficiary designations can bestow a form of veto right: although not unique to Belgium, Belgian insurance law provides that an accepting (irrevocable) beneficiary must consent to certain policy transactions, including withdrawals of policy value by the holder. A grandparent who gifts a policy to a child but is irrevocably designated a beneficiary in first rank will possess a veto right during their lifetime over access to the policy value, which value will then inure to the benefit of the child, and ultimately the grandchild as beneficiary in second rank. Of course, circumstances may dictate that a combination of solutions or an addition to an existing vehicle is required. In this context, the incorporation of an insurance policy can enhance the efficiency of a larger plan and expand the available investment options. 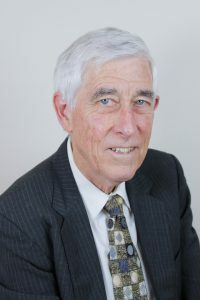 A practical example is the addition of US-style insurance and annuities to foreign non-grantor trusts to limit the effect of the accumulation and distribution rules.7 Similarly, should a beneficial owner spend time in a jurisdiction that disregards a foreign entity, such as a trust, or treats it as transparent (attribution rules in South Africa, or tainted protected settlements in the UK), a life policy held by the entity and compliant in the beneficiary’s country of residence can preserve tax deferral and investment flexibility. In our next article we will discuss in more detail how the six principles of EWP in conjunction with PPLI give “magical powers” for structuring assets to achieve exceptional outcomes for clients. Let us know how we can accomplish the same for you! This Private Placement Life Insurance (PPLI) client is frustrated and resorts to a seemingly obtuse statement to his advisor. Let us examine his statement more closely. If something valuable would be left out in the rain, it might be spoiled. Indeed, even a PPLI asset can take a turn for the worse. Perhaps he intended to use the colloquial phrase it is “raining on my parade.” Perhaps English is not this client’s first language, and he is using an idiom of his first language, and translating it literally into English. But whatever is occurring with the rain and his assets, IT IS NOT GOOD. At this point, it is doubtful whether PPLI is of any use to this dissatisfied client. 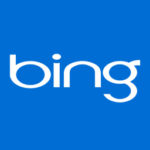 “The Oxford English Dictionary describes it as ‘a group of words established by usage having a meaning not deductible by the meanings of the individual words’ (my italics); other dictionaries emphasize the same point. An idiom, by definition, doesn’t make sense. Isn’t that fun? Or is it just baffling? Take the book title, for instance. Why do we say ‘as right as rain’ rather than ‘as right as snow’ or ‘as right as wind’? Or why should rain, or any other climatic feature, be more right than anything else? Why, to take another example, why do we cry over spilled milk rather than spilled wine or spilled tea? Why is a wild idea pie in the sky or a piece of surprising news a turn up for the books? The expression “as right as rain” offers a positive response to this phrase, but the client’s continence suggests this client is not happy. Enough of our conjectures. Let us give this client a persona. We take the liberty of making him Gary Barnett, who “remade Manhattan’s skyline and spurred a supertall-tower boom with One57. In a faltering real estate market, he’s hoping to sell the ultra-rich on Central Park Tower,” according to an article in the Wall Street Journal, “The Man behind Billionaires’ Row Battles to Sell the World’s Tallest Condo,” by Katherine Clarke and Candace Taylor. Mr. Barnett could use our services, as PPLI can provide excellent structures for real estate. As we have now made him our client, let us learn something about him from the Wall Street Journal article we mentioned previously. “A self-described “poor boy from the Lower East Side,” Mr. Barnett grew up as Gershon Swiatycki, the son of a Talmudic scholar. His entry into the world of luxury goods came in 1980s, when he met his late wife Evelyn Muller, whose father owned a diamond business. Mr. Barnett traded precious stones in Belgium for over a decade before starting to invest in U.S. real estate. Mr. Barnett’s refusal to give up the antiquated flip phone is a source of indulgent eye-rolling from colleagues. He often avoids computers, said a person who has worked with him; instead, his assistant prints out his emails and leaves them on his desk, where he annotates them in what one employee describes as “serial-killer scrawl” for staff to decipher. Other Manhattan developers thought Mr. Barnett was crazy when he started building One57 in 2010, the depths of the real-estate downturn. And after no major U.S. lenders would back him, he turned to the Middle East to obtain financing from two of Abu Dhabi’s wealthiest investment funds. Frequently, at the beginning of a discussion on a topic new to them, clients have an incomplete or erroneous understanding of the topic. An advisor does well not to trample on the client’s understanding. The process of understanding frequently needs to occur in an atmosphere where there is a respectful give and take. In the end, unless a true mutual understanding is reached no meaningful understanding has been achieved at all between the client and the advisor, and the client usually does not become a client of the advisor. In the end, what is left is a topic or concept with two different understandings, and both understandings think that they are correct. What if one of these understandings is actually false? There have been many discussions of late on “fake news,” what constitutes it, and how it is created, and how it affects our lives. Let us examine the strange case of Claas Relotius. With PPLI our company is careful to discern at the beginning of a discussion whether PPLI is in fact the right planning choice for the client. By analyzing the structure thoroughly, we insure a more successful PPLI outcome at the end of the process. Here we have an award winning journalists, who evidently was the perpetrator of “fake news” for many years. We are grateful to another Wall Street Journal article, “Germany’s Der Spiegel Says Reporter Made Up Facts,” by Bojan Pancevski and Sara Germano. “BERLIN—Europe faces its largest journalistic scandal in years after Der Spiegel, the continent’s biggest-selling news magazine, said one of its star reporters fabricated facts in his articles for years. The magazine’s disclosure, which came after a colleague raised concerns about a recent piece on supporters of President Trump in rural America, was made as Europe’s established media faces attacks by populist forces at home and abroad. Claas Relotius, an award-winning journalist, resigned from the magazine last week after admitting to making up parts of his reporting in the past decade, Der Spiegel said late Wednesday. Mr. Relotius couldn’t be reached for comment. According to the magazine, Mr. Relotius, 33, invented characters, dialogue and events in his coverage of subjects ranging from a Guantanamo inmate who no longer wanted to leave the prison to civil war orphans in Syria. “We must see what control mechanisms failed, whether they did or whether we were negligent,” Steffen Klusmann, who will become the magazine’s editor in chief next year, said in a video interview posted on the magazine’s website. Major news organizations have faced a number of crises in recent decades over reporting that was later determined to contain fabricated material. How does one protect oneself from the rain? Usually by providing some cover, like a waterproof outer garment. Let us cast life insurance into the role of this protective outer garment. In our next article, we will divulge how PPLI provides this protection. Please let us know how we can keep your assets ‘as right as rain.’ PPLI can solve a myriad of asset structuring needs. Your suggestions and comments are very welcome. Please write them at the bottom of this article or Contact Us directly. How do we achieve understanding? Our next five articles will comprise an in-depth look at the five main components of our PPLI Concept Map: Professor PPLI to the Rescue. How we arrive at understanding is a process that is comprised of several steps. Since the main function of our firm, Advanced Financial Solutions, Inc., is using Private Placement Life Insurance (PPLI) to structure the assets of wealthy families, we must impart an understanding of PPLI daily. Let us examine what we do to achieve the exceptional results that we accomplish for these families in using PPLI. First, let us look at an academic definition of understanding from Wikipedia. “Understanding is a psychological process related to an abstract or physical object, such as a person, situation, or message whereby one is able to think about it and use concepts to deal adequately with that object. Understanding is a relation between the knower and an object of understanding. Understanding implies abilities and dispositions with respect to an object of knowledge that are sufficient to support intelligent behavior. “Understanding is a relation between the knower and an object of understanding.” This is key. This “relation between the knower and an object of understanding” is something one must find out in the midst of explaining a concept like PPLI to a client. One might call the process divining their attitude towards the topic in the midst of explaining the concept to the client. This is most readily heard in a tone of voice, and seen in body language. When a client does not understand something or his or her interest wanes, it is time to switch to another way of explaining the topic. The advisor in our Concept Map has not given this client a satisfactory explanation of PPLI, and the client is not shy about letting him know his feelings! Perhaps this client was not given the basics of PPLI, and this is the source of his consternation. Let us proceed to an excellent source of knowledge about PPLI that does give the basics and more, “Using Life Insurance and Annuities in U.S. Tax Planning for Foreign Clients by Leslie C. Giordani, Esq., Michael H. Ripp, Jr., Esq., and Mari M. Reed, Esq. * Giordani, Swanger, Ripp & Phillips LLP Austin, Texas from The Tax Management Journal. This article discusses the use of PPLI for non-U.S. persons from a U.S. tax perspective. U.S. tax planning for foreign clients involves complex issues and even more complicated rules. Advanced planning can, however, provide significant opportunities for clients to minimize or avoid costly tax consequences. The issues faced by these clients include high tax liabilities associated with potential accumulation distributions from undistributed net income earned in foreign trusts and taxation of an NRA’s U.S.-source income and an NRNC’s U.S.-situated assets. As discussed in this article, investing a foreign client’s funds in a life insurance or an annuity policy can provide an elegant solution to many of these issues and numerous additional benefits. Life insurance and, to a lesser extent, annuities have long been favored under the U.S. Internal Revenue Code. Further, life insurance and annuities can be used as: (1) estate planning tools to mitigate estate tax liability and facilitate the orderly disposition of assets at death; (2) asset security vehicles, offering both financial privacy and protection from future creditors; and (3) mechanisms to augment the philanthropic goals of charity-minded clients. In some cases, life insurance and annuities can also reduce or defer clients’ income tax liabilities through tax-free growth inside properly structured policies and via the avoidance of taxes and penalties associated with certain distributions from foreign non-grantor trusts. Finally, investing in life insurance or an annuity contract can also ease clients’ income tax compliance burdens. This article addresses the ways in which life insurance and annuities can be employed to maximize the benefits of these powerful planning tools, focusing on ways to minimize or avoid U.S. income and transfer taxes for foreign clients. We will examine the fundamentals of life insurance and annuities including the various types of life insurance available in the marketplace and basic structuring issues relating to annuities. We will discuss the U.S. tax rules that must be satisfied for a contract to qualify as life insurance or an annuity and, in some cases, a variable contract. We will analyze the U.S. income tax treatment and estate tax treatment of life insurance and annuities. Finally, we will discuss applications of life insurance and annuity planning to several key international estate planning topics, including the use of foreign trusts, pre-immigration planning, and the benefits of annuities for temporary U.S. residents. The process of understanding also must include some element of trust. This is mostly built over a period of time, but even at the initial client/advisor meeting this bridge must be crossed by the client for the relationship to continue. In her excellent articles, “Notes from Caroline,” Caroline Garnham a London attorney who works with UHNW clients, gives us a story about a client that gives us an insight into the world of a UHNW client. The story reveals a certain aspect of this element of trust which is stated succinctly in the aphorism: to understand a person one must walk in the other person’s shoes. Ms. Garnham does an excellent job of describing what it is like to walk in the shoes of an UHNW client. “George a PR agent, who acts for one of the wealthiest people in the Sunday Times Rich List, arranged to meet his client in a country golf club. George arrived at the agreed time, but still hovering above him was his client’s helicopter and it wasn’t making an approach to land. George phoned to find out why. The client refused to land due to a charge of £95. George offered to pay – he hadn’t spent two hours travelling to a far-flung golf club only to have the meeting cancelled. The client – in a rage – refused to let him pay. This was a matter of principle. So, George had to plead with the golf club to waive its fee which it eventually did, and George’s client finally landed. Surely the golf club should be encouraging their members to arrive by helicopter and governments should encourage the rich to live in their country, as it adds cachet to the club. By charging a fee, the club was in severe danger of losing one of their most prestigious members, purely through greed. Their thinking was if you can afford a helicopter you afford a landing fee. As in France – if you are wealthy you can pay a wealth tax. It’s like saying if you drive to the club in a Bentley you pay a parking fee, but if you arrive in a Toyota you don’t. UHNW individuals are being fingered for money ALL THE TIME. It is hardly surprising therefore that they fly off the handle and appear difficult when they are being fleeced for yet more cash. Being pestered for money is a way of life for them, and most of them hate it, which is why they want to preserve their privacy and live in countries which appreciate their contribution. We may watch their antics with surprise, but most of us do not know what it is like to be wealthy. However, as advisers, we need to understand them. One wise person said that, “We have two ears, and one mouth, because we need to listening twice as much as we speak.” It is not possible to present PPLI to a client unless one knows how they think about it. The advisor finds out by listening to what the client says and not giving a lecture. Obviously, the understanding that we speak about has not been achieved here, so please follow us to Part 2, and find out more. We hope you enjoy this new format, and look forward to increasing your understanding about PPLI. Please contact us for a free initial consultation. During this past week Amazon selected The PPLI Papers as the No. 1 book in their Insurance Law section. Amazon is also running a special on my book from Saturday, February 9th, to Wednesday, February 13th. The PPLI Papers will be available for a free download during this period. The print version of the book is in process, and will be available in a few weeks. We hope you take advantage of this offer! Your comments and suggestions are most appreciated. Let us know how you like the book, (bottom of the page). Were you concerned about the revelations of the Panama Papers and the Paradise Papers? If you are concerned about lack of privacy and want to structure your assets to enhance privacy, tax efficiency, and asset protection, look no further. Here you will find an approach that gives you all the privacy you seek to retain while remaining in full compliance with tax authorities worldwide. We are talking about the use of a specialized life insurance policy–Private Placement Life Insurance (PPLI). Much more than just an insurance policy, it is a conservative approach that offers a trustworthy and reliable method of achieving these aims. The aim of this book is to give you a general knowledge of Private Placement Life Insurance and introduce wealthy international clients to the possibilities of structuring their assets to their greatest benefit in the wake of the Panama Papers and Paradise Papers. We will offer news stories, discussions by various authors on PPLI, and related topics such as tax planning. The book consists of my articles over the last several years, and will give you access to videos on PPLI. The diversity of the articles mirrors the diversity of PPLI structuring possibilities that are available throughout the world. My sincere hope is that you come away with a structure that achieves your aims. 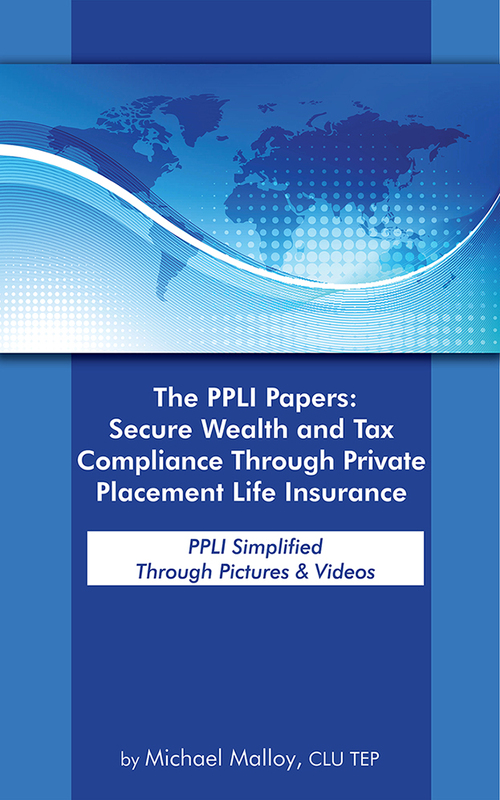 For maintaining full privacy while maximizing tax savings, and asset protection, PPLI is one of the world’s best kept secrets. 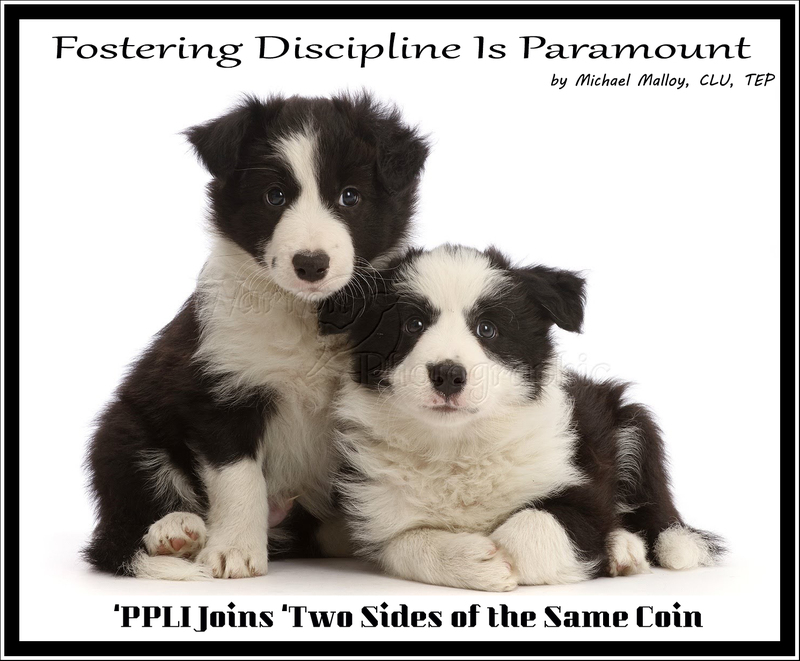 To be thorough and open to new possibilities at the same time requires discipline: embracing ‘two sides of the same coin.’ In the PPLI structuring of wealthy international families’ assets, Advanced Financial Solutions, Inc. strives to achieve this aim. For each new case we exam similar PPLI cases that we have handled in the past. For the specific knowledge that we will need for new cases which we might lack, we have an excellent resource of professional advisors worldwide that can be easily contacted to supply this missing knowledge for a successful PPLI structure to be created. For our analogous examples we have one from the area U.S. tax planning and how it affects U.S. beneficiaries of Foreign Grantor Trusts, and strangely enough, one from high-fashion. This example shows us what happens when the ‘two sides of the same coin’ turn out to be the same thing, and–to change this analogy–the coin loses its luster by turning out to be a copy. In a humorous vein, you can view this also as social media bringing transparency to haute couture. “This product is for the wealthy, “accredited” investor. They are usually very large single premium structures. It is classified more as an institutional product, as the charges and fees are quite low in comparison to retail products described above. Another advantage is investment flexibility as they generally can be invested in things not permitted in a general account retail product, like hedge funds and private equity. In the STEP Journal Melvin A Warshaw and Lawrence M Lipoff discuss a key change to the US Tax Cuts and Jobs Act of 2017, and assess what it means for advisors to trustees of foreign grantor trusts. They conclude that due to recent changes in U.S. tax law that a properly structured PPLI provides an excellent solution for U.S. beneficiaries of foreign grantor trusts. Trustees must analyze whether their existing single foreign corporation (FC) strategy is still viable and, if not, what steps they should take to address this US tax law change. Some advisors suggest a second FC and others a two-tier or three-tier FC structure. Leaving aside that planning variations relying on different entity structures may be one option, we believe that offshore private placement life insurance (PPLI) may offer a far simpler and safer strategy. Under pre-2018 US tax law, trustees of FGTs generally relied on a single non-US holding company to shield the NCNR grantor of an FGT from US estate tax on US-situs portfolio assets. Following the death of the NCNR, the trustees would effectively eliminate this FC by filing a post-death, retroactive (so-called ‘check-the-box’) election within 30 days of such death. Gain recognition would be avoided on the historical pre-death unrealised appreciation of the US portfolio assets, prior to elimination, i.e. liquidation, of the FC, as well as pre-2018 controlled foreign corporation (Subpart F CFC) passive income tax and related tax compliance. Plus, the US heirs would achieve a basis step-up in the underlying US portfolio assets equal to their fair market value (FMV) on the date of the election. The Act repealed the 30-day retroactive election for tax years after 2017. Under current US tax law, a post-death ‘check-the-box’ election for the trust’s FC could cause US beneficiaries of the trust to inherit the historical pre-death unrealised appreciation in the US-portfolio assets and incur cumbersome US tax compliance. Further, if an FC is a CFC for even one day during the tax year, there could be potential phantom income for the US beneficiaries of the trust now encompassing the new US ‘global intangible low taxed income’ (GILTI) regime. The single FC structure continues to be effective in preventing imposition of US estate tax on the US portfolio assets held by the FC. If most of the NCNR’s trust beneficiaries are US persons (citizens or residents), the trustees and US advisors must anticipate that there will now be US income tax and US tax reporting on historical appreciation of the assets held in the single FC that would eventually be recognised by the US beneficiaries after the NCNR’s death. If most of the trust beneficiaries are not US persons, it may be possible that the single FC will lack sufficient beneficial ownership by US persons to qualify as a CFC. Another approach suitable for families with both US and non-US persons as beneficiaries is to have the trustees of the FGT create a second FC, which would own only non-US-situs assets. The original FC would own only US securities. The non-US portfolio assets owned by the second FC would be earmarked to benefit solely non-US persons as trust beneficiaries after the death of the NCNR. The US portfolio assets owned by the existing FC would be earmarked for the US beneficiaries. There would be no US estate tax on the non-US assets owned by the second FC. A retroactive check-the-box election could be filed for this second FC effective on the day before the NCNR’s death. Some US advisors advocate relying exclusively on entity structuring to convert a single FC into a multi-tier FC structure involving at least three FCs. Prior to the NCNR’s death, the trustees of the NCNR’s FGT would create two FCs. These two FCs would then together equally own the shares of a third lower-tier FC. The US portfolio assets would be owned by the lower-tier FC. Following the death of the NCNR, the lower- and upper-tier FCs would be deemed liquidated for US tax purposes (by filing check-the-box elections) in a carefully scripted sequence as follows. First, the upper-tier FCs would each file a check-the-box election for the lower-tier FC, effective one day prior to the death of the NCNR. This results in a taxable liquidation of the lower-tier FC without current US income tax on the historical pre-liquidation unrealised appreciation inside the FC. However, the upper-tier FCs’ basis in the underlying US securities held by the former lower-tier FC will equal the FMV of such assets on the date of the deemed liquidation of the lower-tier FC. Second, two days after the NCNR’s death, both upper-tier FCs will make simultaneous check-the-box elections. The inside basis of the US portfolio assets previously held by the lower-tier FC prior to its deemed taxable liquidation would be stepped up or down to the FMV of such assets on the day after the death of the NCNR. Advocates of this highly complicated, carefully scripted entity structure and serial liquidation strategy for US portfolio assets indicate that, if successful, the results should be comparable to the results under prior law. However, this is not without some new tax and reporting risks, as noted above, nor does it address the question of what the independent significant non-tax business purpose for ‘each’ of the three FCs would be. Assuming the NCNR is insurable, advisors should seriously consider the possibility of their NCNR clients, with significant US portfolio assets, and US persons as potential beneficiaries investing in certain types of offshore PPLI policies that in turn invest in US assets. Purchasing an offshore US tax-compliant PPLI policy will result in no US income tax recognition in the annual accretion in the cash value growth of the policy. Holding the policy until death is equivalent to receiving a US basis step-up at death on the death benefit that is payable in cash. In planning for the US beneficiaries of the NCNR, if the revocable FGT were named as owner and beneficiary of the PPLI, this trust could be structured to pour over at the death of the NCNR to a US dynasty trust organised in a low-tax jurisdiction with favourable state trust laws. This structure will ensure that the death benefit pours over to a US domestic trust that will not become subject to foreign non-grantor trust (FNGT) tax rules. A non-admitted offshore carrier obviates CFC status for the policy and policy owner by making a certain special US tax code (s.953(d)) election to be treated as a US domestic carrier. Aside from avoiding CFC status for the policy and its owner, making this special election causes the carrier to absorb US corporate income tax and administrative costs to comply with US informational tax reporting. The hidden benefit of an offshore carrier making this special US tax election is that it enables such a carrier to claim a special deduction of reasonable reserves required to satisfy future death benefits. The offshore carrier simply absorbs the cost of US income tax compliance including its responsibility for CFC and passive foreign investment company (PFIC) reporting. There is no look-through of an insurance policy to its owner for the purposes of applying the PFIC rules. So long as the NCNR avoids any control over the selection of specific investments made by the policy owner for the policy, investor control should not be a concern. From the Wall Street Journal, we share “Fashion Industry Gossip Was Once Whispered. Now It’s on Instagram” by Ray A. Smith. “Shortly after designer Olivier Rousteing showed his fashion collection for Balmain in Paris last September, French designer Thierry Mugler posted on Instagram. The episode surprised Mr. Rousteing. “Oh my God, I’m so sorry for him, seriously,” said 33-year-old Mr. Rousteing about 69-year-old Mr. Mugler in an interview. He denied copying the designer. In the past, copycat allegations rarely reached beyond fashion industry gossip—or sometimes courtrooms—and rarely made it to the wider public. Now with Instagram, fashion’s favorite app, accusations spread much faster and to a wider audience. Eagle-eyed accusers can post comparison pictures and add arrows and circles to zero in on the alleged offense immediately after a fashion show, now that runway images are beamed out in real time. High-end fashion labels are increasingly being called out on social media for copying other designers or designs, leading to back-and-forth exchanges, lawsuits and expensive apologies. All uses of ‘offshore’ and ‘foreign’ are given from the perspective of the US. All references to ‘US persons’ in this article refer to citizens and residents only.